Intercon Upholstered Counter Stool Santa Clara INSTBS280C(Set of 2). The Santa Clara Upholstered Back Counter Stool from Intercon is made from solid mango and select hardwood and finished in Rich Brandy. 2 x Upholstered Back Counter Stool IN-ST-BS-280C-BDY-K24. 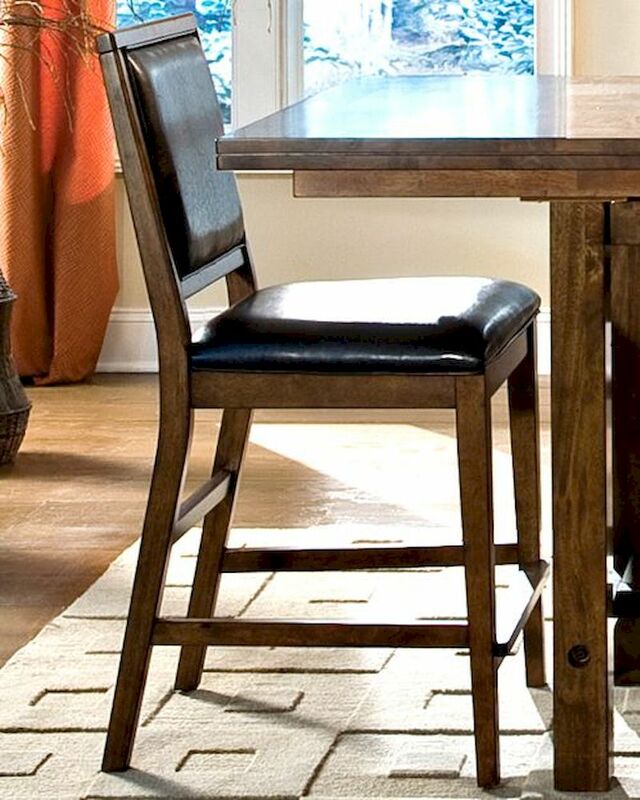 Counter Stool - 20.6"W x 22"D x 42"H.
Collection constructed from solid mango and select hardwood.